After the worst campaign in recent memory for Sunderland fans, the rebuilding job has begun at the Stadium of Light this season as they dip into the Championship for the first time in just over a decade. Simon Grayson picked up his first win of the season with a 3-1 win at Norwich after an opening weekend draw with promotion tipped Gary Rowett and his Derby County side, but have yet to win since. The last time the Black Cats dropped to the second tier it was an instant return to the top flight, winning the Championship with a stunning 17 game unbeaten run after the turn of the year. Fans will know that if you can get a run of form going in the famously tricky second tier, things can change within weeks. Have a bad start, as they did in the 2006-07 season losing their first four games in the league as well as, rather coincidentally, losing to Bury in the first round of the League Cup, is troubling but things are looking brighter than then. Given the state of the club, however, there are few who will predict an instant march back to the promised land, but with some big games to come early in their campaign, they could well position themselves for a decent battle across the season before we’ve really got going. This may seem an obvious one, given that the trip to Oakwell is next up for Grayson and his players this Saturday, however, there is good reason. Barnsley will be looking to bounce back after losing a fiercely competitive South Yorkshire derby against Sheffield United over the weekend. With only one win to their name, Barnsley will be keen to put some more early points on the board. Sunderland have won their last three meetings against Barnsley, with the most recent a 2-0 victory in 2007, which should hopefully stand them in good stead going into the match. The Black Cats are 19/20 with Betway ahead of the weekend to get all three points at Oakwell, which would be invaluable for the promotion chasers considering they have gone two games without a win. This fixture will have increased importance for the Black Cats if they don’t pick their first home win of the season against Sheffield United. Forest under Mark Warburton have made an impressive start to the season with three wins from four, and will be no pushovers. With the takeover now sorted at The City Ground, and Warburton at the helm, Nottingham Forest FC will be looking to be more competitive this season, challenging at the right end of the table come the end of the season. 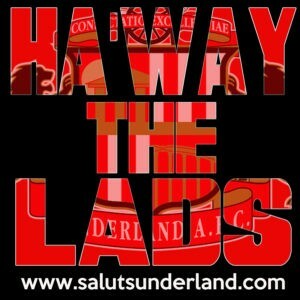 If Sunderland can take home all three points then it will be a huge boost. With big games coming in quick succession a win would hopefully be a springboard to go on a winning run and rising up the table. Another of the big boys in the Championship this season comes just over a month into their campaign. With the transfer window, by then, shut and players having had time to settle into their new roles and style, you would hope Sunderland would be well into their stride. The Tigers, however, will also be up and running by then, and although not clear favourites to take the league by storm this term, Leonid Slutsky’s side will prove a stern test of Grayson’s side and their potential to get back up at the first time of asking. While wins over the smaller sides in between the three are also vital, as it can be where a lot of bigger sides fall short in only turning up for the big games, beating the likes of Hull, Barnsley and Forest can have a profound and lasting effect on the dressing room, especially if they are all done within the space of a month.